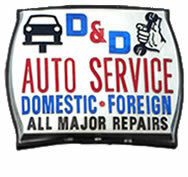 D & D Auto Service was established in 1986. We have a fully equipped shop with both tools and information to diagnose and service your vehicle. We try our very best to be honest with our customers and make the proper diagnoses the first time. We keep up with current automotive technology with continuing education. Our mechanics attend clinics offered by parts suppliers and the AASP auto service group. We can call our specialized auto diagnostic service which has the same bulletins and repair information that the auto dealerships have. Certifications: He has ASE Master Certification, Emission Inspection License, Emission Inspection Repair Certification, which allows him to issue emission wavers. Work History: His first employment was for Galbraith Buick/Cadillac. In 1978, he started to work for S & H Pontiac/ Honda. 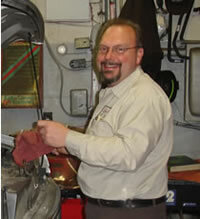 He worked for S & H Pontiac until 1986 at which time established D & D Auto Service. Education: Graduate of Cumberland Valley High School in 1976. He had 3 years automotive training at Cumberland/ Perry Vocational Technology School. Factory training in Pontiac and Honda Vehicles. Certifications: He has ASE Master Certification, Air Condition Certification, State Inspection and Emission Inspection License, Emission Inspection Repair Certification, which allows him to issue emission wavers. Work History: In 1966, he started to work for S & H Pontiac/ Honda. 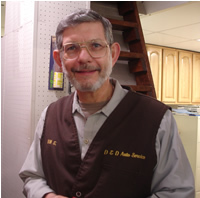 He worked for S & H Pontiac until 1986 at which time established D & D Auto Service. 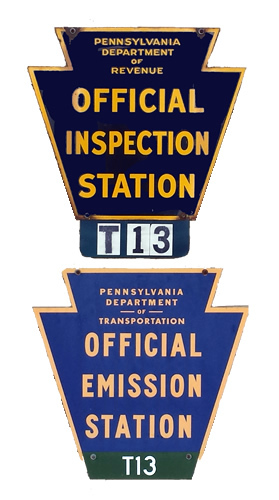 Education: William Penn Automotive Training Course Certificate, Graduate of Delone Catholic High School in 1965. Factory training in Pontiac and Honda Vehicles.